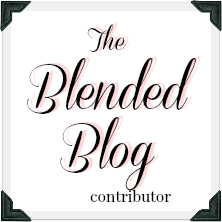 Today I thought I'd link up with Friday Favorites, even though it's Saturday. Oh well, better late than never! I always pull out this plaid tote in April. It's roomy and structured and the colors make me happy. I bought it years ago at a consignment store, but this Tory Burch bag is similar. 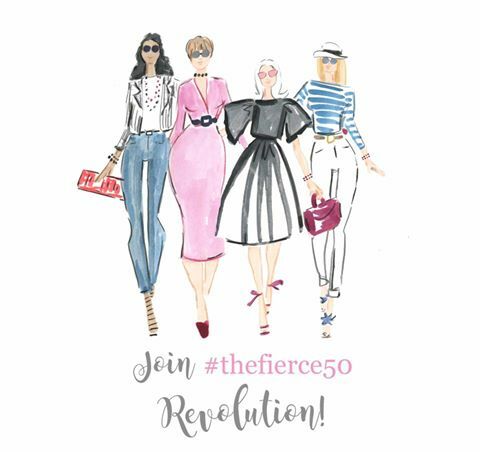 And if you win the Style Me Bloggers Nordstrom Gift Card giveaway, you could do a little spring handbag shopping. 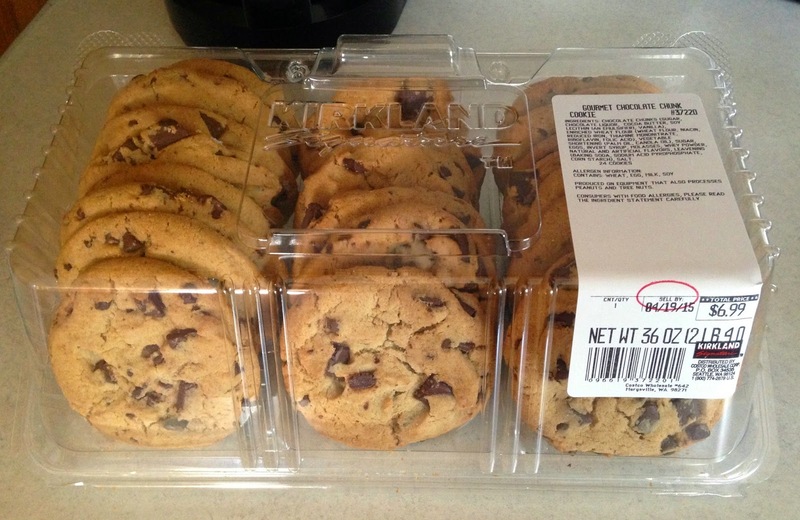 Have you tried the chocolate chip cookies from Costco's bakery? While I normally prefer homemade cookies, these are so delicious! I had some Old Navy Super Cash to spend, so I stopped in this week. They recently remodeled our local store, and it was bursting with pretty spring pieces. This eyelet tshirt will be so versatile this summer with different colored camis underneath. And I had to get a scarf to add to my collection! I had been searching for some Argan Oil that wasn't too expensive. The reviews on this Avon brand were good and it was only $12.00. I've been using it for two weeks and it's AMAZING. My hair is very thick and wavy, and this leave in oil tames the frizz and leaves my hair feeling soft - plus it smells great. 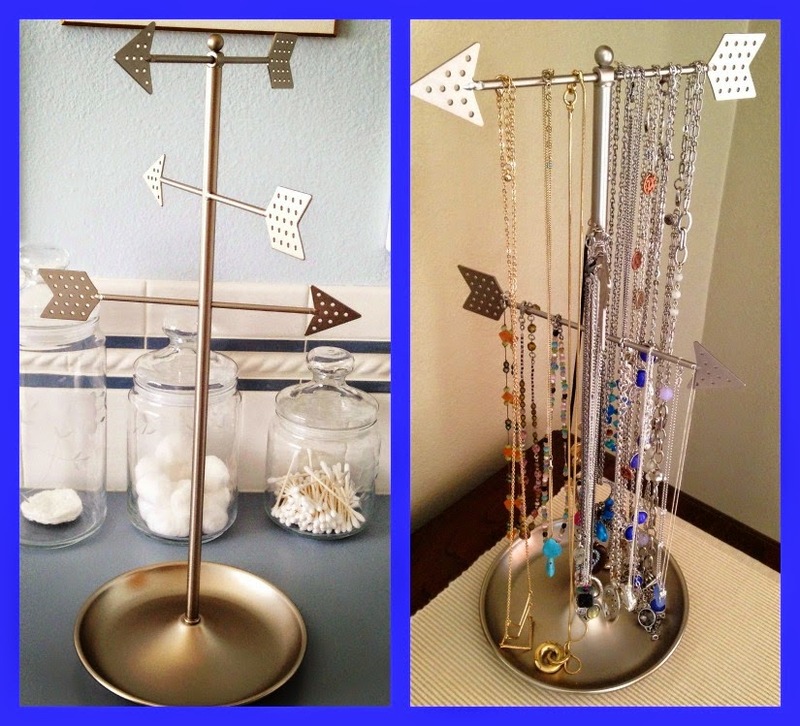 I finally got tired of digging through my tangled necklaces, and bought this jewelry holder at Target. I'm so happy with it - there's room for everything except my statement necklaces, and it's pretty enough to display on my dresser. Super Cute bag!! And I totally LOVE those Costco cookies!! My sister brings them to every family party for the kids but Aunt Katie steals one every time!! :) Have a great weekend!! Thanks Katie. The cookies were gone in no time at my house this weekend! 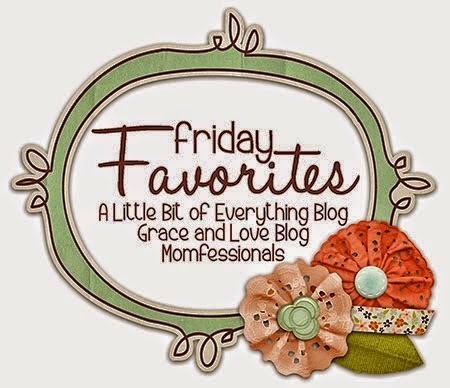 Love the Friday Favorites even on a Saturday morning. Would love to link up with you guys next Friday (or Saturday morn). That bright bag is darling. I am down for any kind of cookies, so these Costco's look divine. I have ON cash, too. Need to get that spent if it isn't too late. 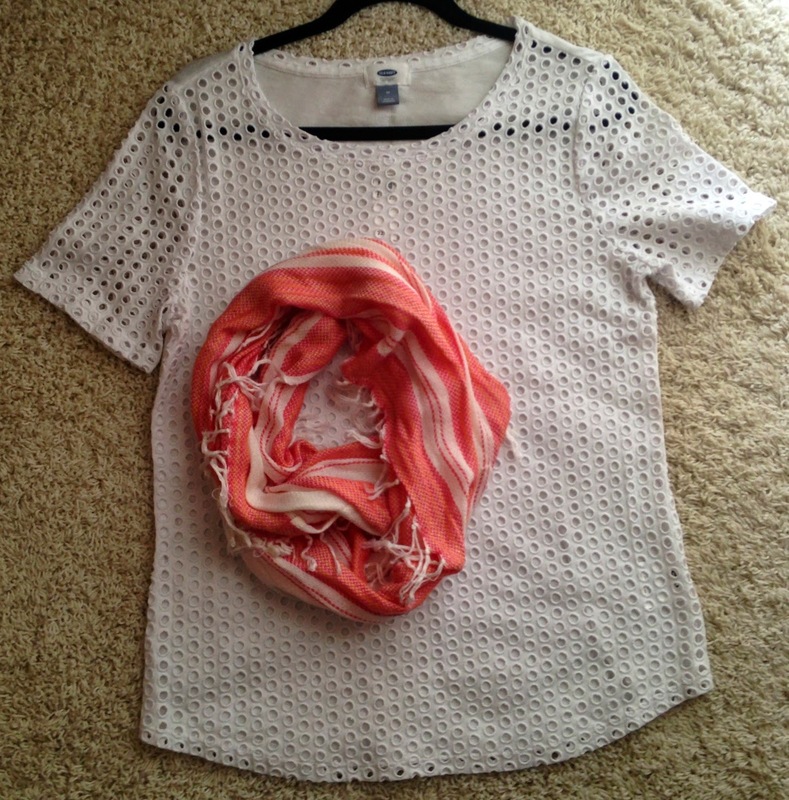 Great eyelet tee! I think you can use your ON cash online too. They have some great stuff! Got the top. Thank you so much for posting it. Went to an Old Navy in Houston that was so stirred and so disorganized that it took an hour to locate the tops in the store. But I got one! Now that I am home, I might have to get the navy one, too. Can't wait to see it on you. I'm kind of wanting the navy one too. I have tried the Costco chocolate chip cookies. They are delicious. Too delicious. But the macadamia chocolate chip numbers? Positively dangerous. Have to stay away from them. I love your eyelet tshirt and scarf. So cute. And that bag? Wow! Hmmm...macadamia chocolate chip? Why have I never noticed those before? Me too! We would get along well Diane! So, I'm a little confused....(not hard to do!) Are you Abby Marie on Facebook? Not your fault, I'm pretty confusing! Yep. It would look so pretty on you Susan! I love the top and the scarf! Everytime I see these things I think of how good I could look if you only lived close by! Wouldn't it be fun to go shopping together? I love all of your favorites! I might have to try that hair oil! Your eyelet top and scarf are so pretty! Thanks Jill. I'm seriously loving the Avon argon oil. Yes, I have had Costco cookies! Mmmm.. I want some right now but the rain and the idea of their parking lot is scaring me. So crowded! 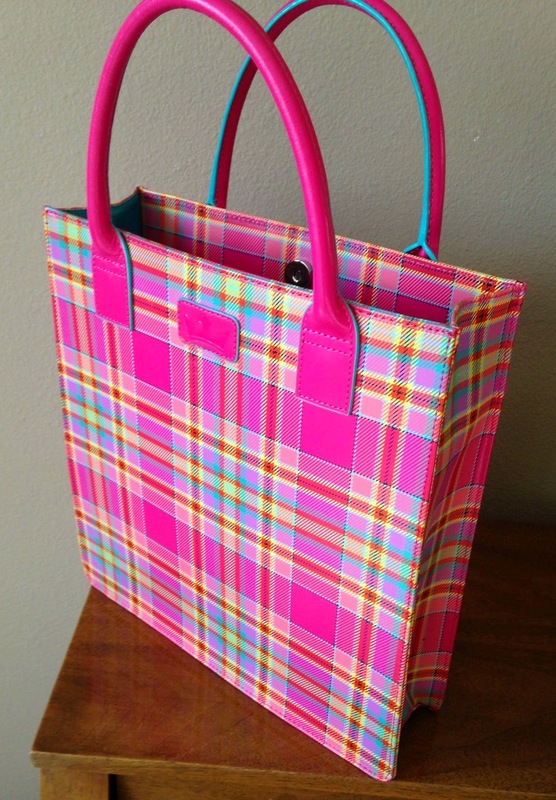 The plaid tote is fantastic. I wish I had one of the Costco cookies right now. I agree, the only thing that keeps me from eating them every day is the horrible traffic into our Costco store. I saw that top at ON and loved it but they were out of the white. I thought about the navy but really wanted white so I had to pass. Can't wait to see you style it. Where did you get the Avon argon oil? I need something for my hair too. I tried some coconut oil the other day because I had here and I thought it conditioned my hair fairly well. The oil came from Amazon. I'll email you the link!